Since stepping up to a four-wheel drive car two seasons ago, former Nelson resident Ben Hunt has raised more than a few eyebrows with his consistent speed. 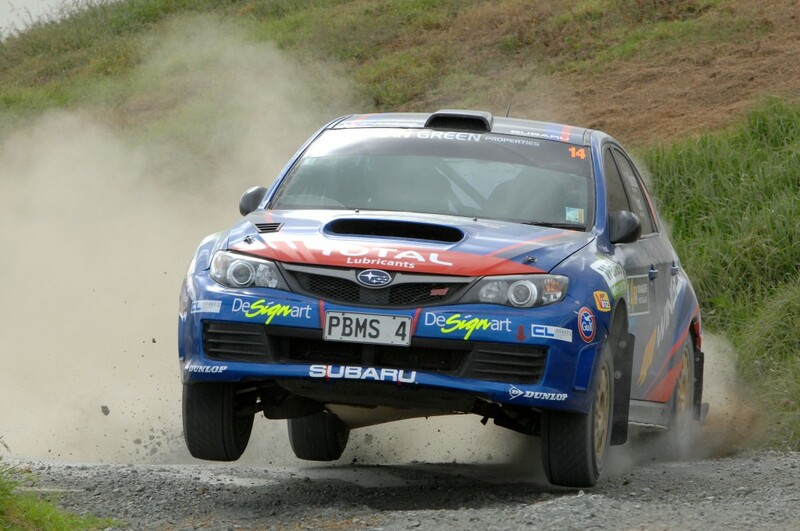 A first outright NZRC round win in 2013, was followed by championship runner-up in 2014. We caught up with Ben (and after getting over the initial shock of Ben buying the first round), talked about how he seems to go better on gravel than tarmac racing, what lies ahead for the 2015 NZRC season and moving north…. NZRC: Last time we saw you at the end of the 2014 NZRC season, you were hobbling away (after a go-kart crash the day after the final round)…., first of all how’s the ankle? BH: The ankle’s been better, I ended up breaking it quite badly, so thanks to John Kennard and my brother James and whoever else took me out from behind! I guess that’s motorsport and we were just mucking around waiting for the ferry and it’s all fun and games until you end up in hospital. NZRC: In the past you’ve run a fairly close knit team with friends and family around you, how does it (moving to Auckland) change the dynamic of the team? BH: Gavin on our team, last year was his last year, he’s done it for six years now and he’s done a fantastic job, full credit to him he’s never missed a rally and he just wants to spend a bit more family time so that will be a big job for someone to take over. Hopefully Dan Kane from E & H Motors is pretty keen to step in there and try do that, so if everything goes well, hopefully he’ll love it. NZRC: For 2015 NZRC we will see you back again in the same car? NZRC: Looking forward to Whangarei, obviously last year was a disaster for you (retired on leg one with mechanical issues), but onwards and upwards? BH: Yeah that’s rallying, Mum said to me last year that for a couple of years in the silver Fiesta we finished every day of every rally and for one and a half of those years we won (class) all ten rallies in a row, every day of each rally, so I guess you can’t do that all the time. With motorsport, you’ve got your ups and downs, your failures and offs and bits and pieces like that, so I definitely want to have a good rally at Whangarei and try make up for last year. 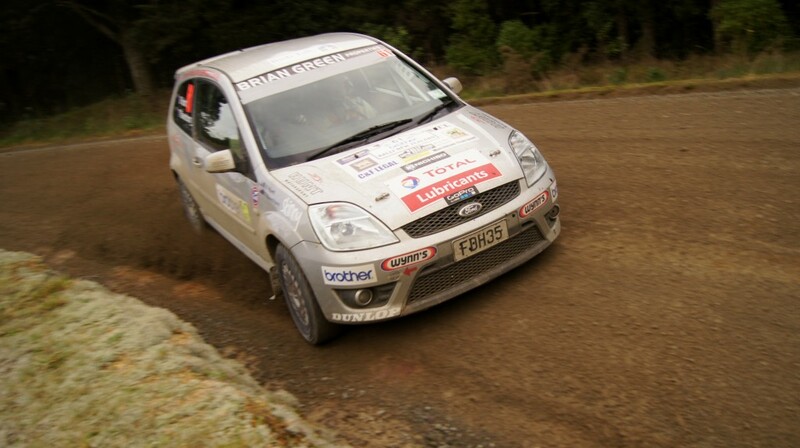 The “silver Fiesta” in which Ben secured multiple 2WD championships. NZRC: At this stage, Richard Mason hasn’t confirmed his program for 2015. Last year, you were the ‘best of the rest’, does that make you the favourite? BH: I’m just hoping someone goes out there and buys Richard’s car so he doesn’t have anything to run in!! (Laughs) All jokes aside, Richard is obviously a very talented driver, he puts a lot of time and money into the sport and his car is probably one of the best cars in New Zealand. Apart from the 34mm restrictor, our car’s a standard group N car so I think to be sitting where we were last year and the year before, I was pretty happy with that. I guess it keeps people’s eyes open and we won’t do anything different. NZRC: You demonstrated consistent front running pace last season, your chances at the championship? BH: I’d like to think we could have a good go at winning it, I’ll me doing my upmost to try do that. But everyone else has had a bit longer in their cars and I think with bringing the restrictor sizes back (36mm to 34mm), you’ll see some of these hybrid cars going a bit better. I think there will be four or five cars that will be pushing for the top. NZRC: Going back to the opening round at Whangarei with the announcement that Ken Block is coming to compete. He is obviously a big name, what does it mean to you to compete against someone like Ken? BH: I guess the other few times we’ve competed against him, I’ve been in a two-wheel drive Fiesta and probably haven’t had that much of a chance to be up there mingling with him, so now that we’re in similar cars, it’ll be awesome. He does pretty well in a rally car and he’s one of the biggest legends in the world in a gymkhana car. It’ll be awesome to have him here and hopefully it will bring the crowds along and add to the excitement and hype of the event. NZRC: We’ve got a good strong local field for 2015, who do you see as your biggest threat for the year? BH: Obviously if Richard comes back and does it, he’ll definitely be the biggest threat. Then there are some of the other drivers coming up through the fields, a lot of things can change over the off season so we’ll be keeping an eye on everyone and doing my own thing as I normally do. NZRC: That’s a very diplomatic answer, we wish you all the best for 2015.